Rent a 4G router through OK Apartment. When you rent in Barcelona, some owners do not allow an internet connection to be installed in the apartment, but many tenants need this service. OK Apartment provides our monthly apartment rental customers with the possibility of renting an high-speed Internet service for €60/month. 1 What is a 4G Internet Service? 2 What speeds are possible with the service? 3 What are the limitations? 4 What can you do with 35GB of data each month? What is a 4G Internet Service? 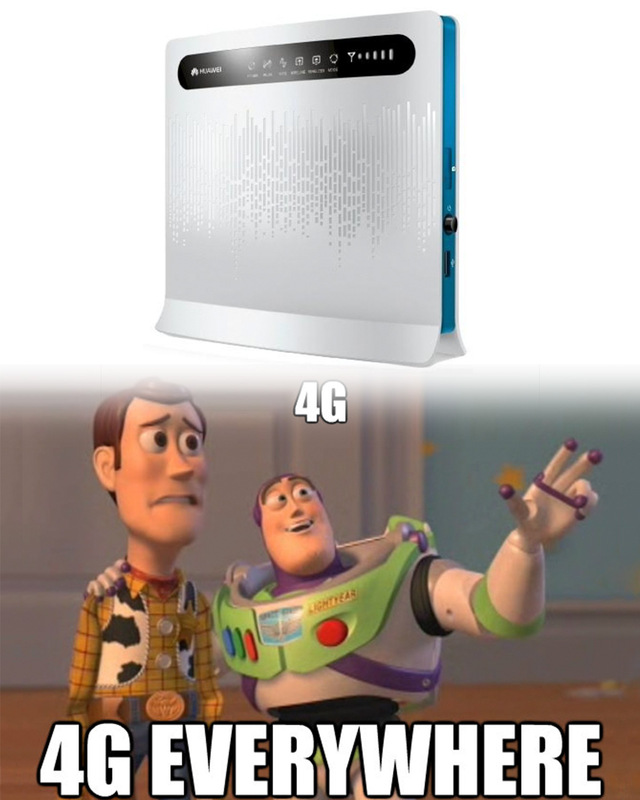 4G technology doesn't require landlines like an ADSL and fibre-optic service. Installation is very simple: just insert a SIM card into a 4G WiFi router and plug it in. The system allows a simultaneous connection of up to 32 devices. What speeds are possible with the service? The speed is superior to ADSL networks; between 20 Mbps and 50 Mbps downloads, with peaks up to 150 Mbps. You will be able to access the web instantly, upload files quicker, stream online matches, play games, and watch movies and high quality videos from your computer or tablet. The initial package includes 35GB of data. This means with normal use you can consider that you would will not exceed this limit. If you consume 35GB then the speed drops to 64 kbps, which allows to standard browsing but not much else. You can however increase this maximum limit if you need to. What can you do with 35GB of data each month? Web navigation and email: Websites consumer about 1 - 1.5MB on average. So 35GB is equivalent to about 30,600 webpages. Streaming videos: Consumption of approximately 10 - 20 MB/minute at 720p. 35 GB will allow around 30 - 60 hours of video streaming. Audio de música: Consumption of approximately 3 MB/song. 35 GB will let you listen to about 10,200 songs. Clients will need to visit our office located in Barcelona's city centre to collect the router, sign the contract, and make the one-off payment in cash. This payment covers three concepts: the contract fee, cost of the service, and deposit. 1. Formalizing the contract: €30. 2. The monthly cost of €60/month for 35GB of data. If 35GB is consumed, the service can be extended for €10 for each 5GB. 3. A refundable deposit of €100, given back once the router has been returned to our office at the end of the contract. You can request the service through our contact form. At least 5 days are needed to process these requests..
Finding work in Barcelona If you are new to the city and the country, here is all you need to know to find work. How to get an 'Empadronamiento' in Barcelona All necessary information and advice to get the Empadronamiento in Barcelona.